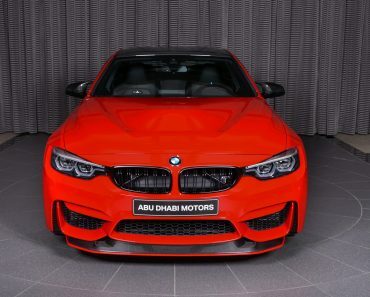 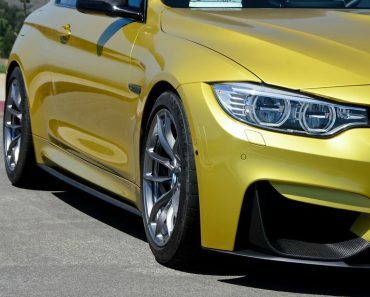 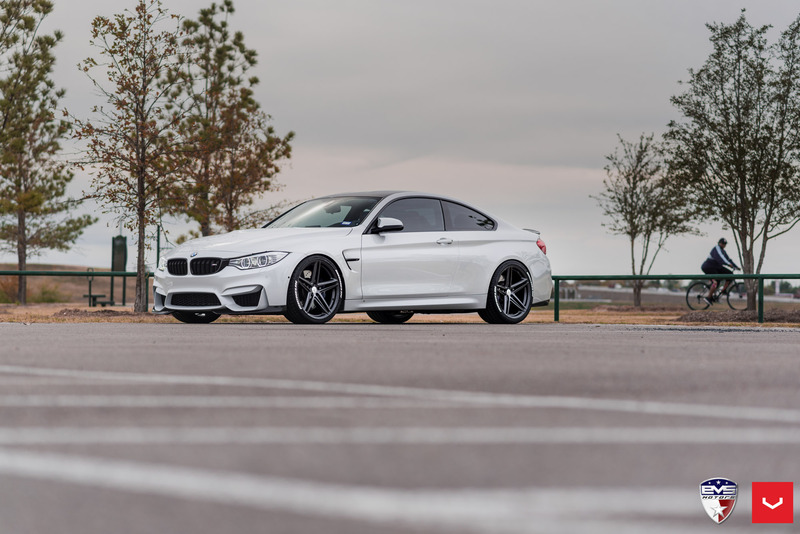 I am always glad to admire the iconic F82 BMW M4 in impressive new forms, with improved visual characteristics, bespoke wheels and enhanced interiors. 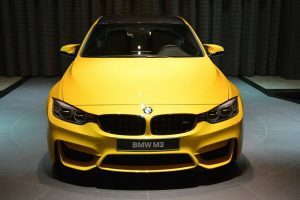 And for the last couple of years, we have seen one of the most daring aftermarket programs ever created on the M3/M4. 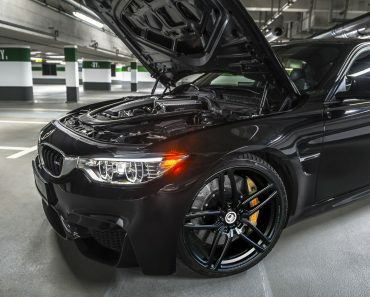 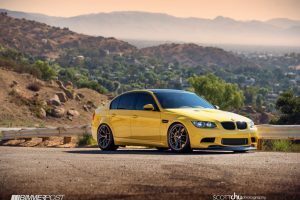 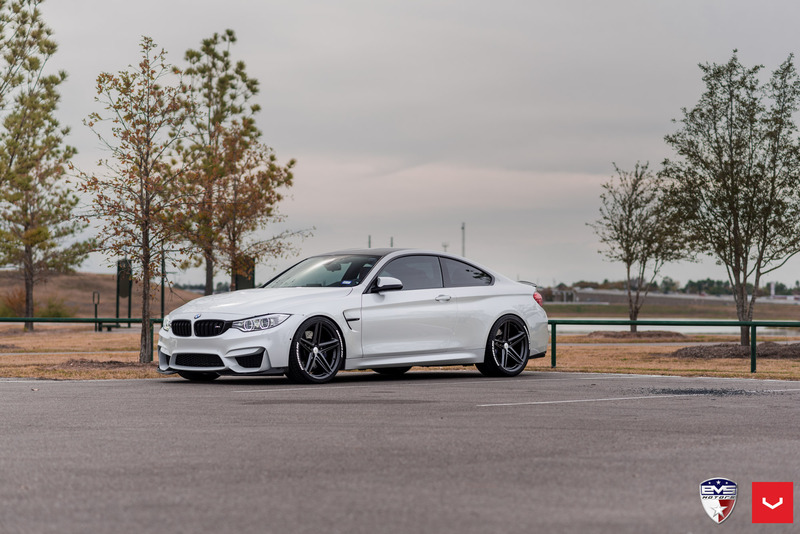 While some tuners choose to mess-up with the M4`s performance under the hood, others decide to go for some enhanced visuals. 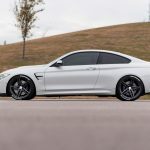 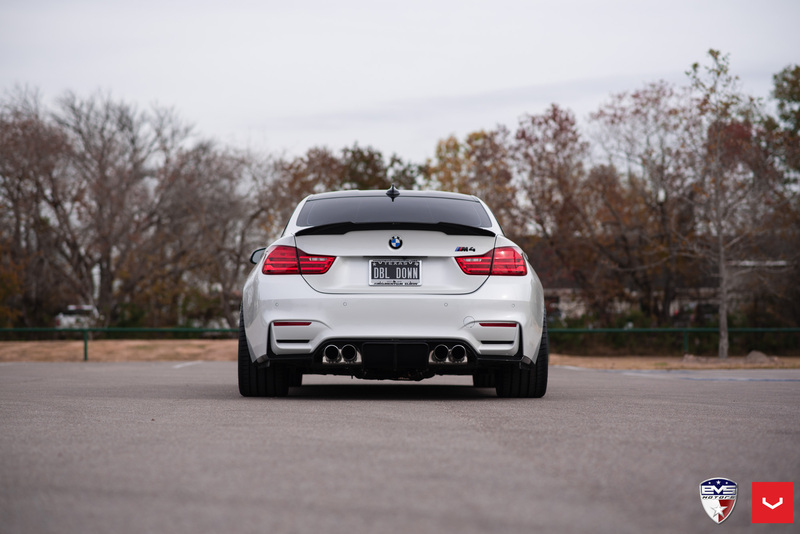 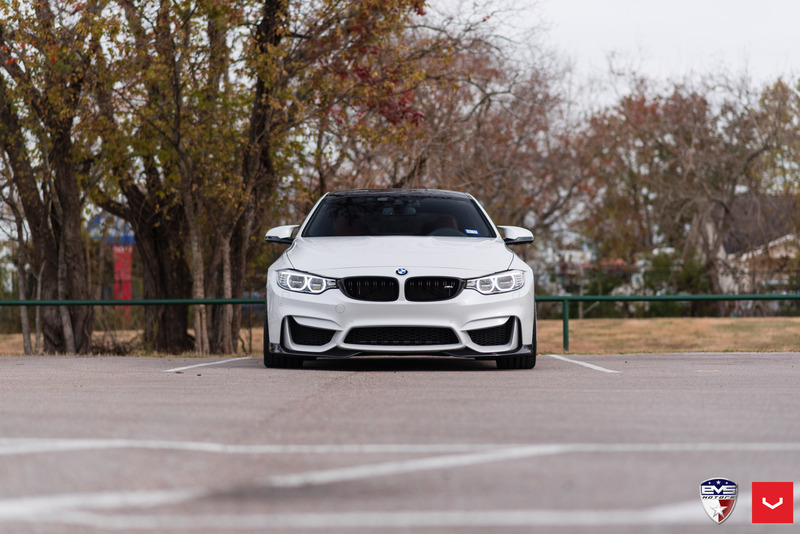 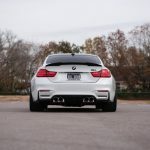 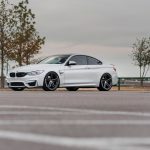 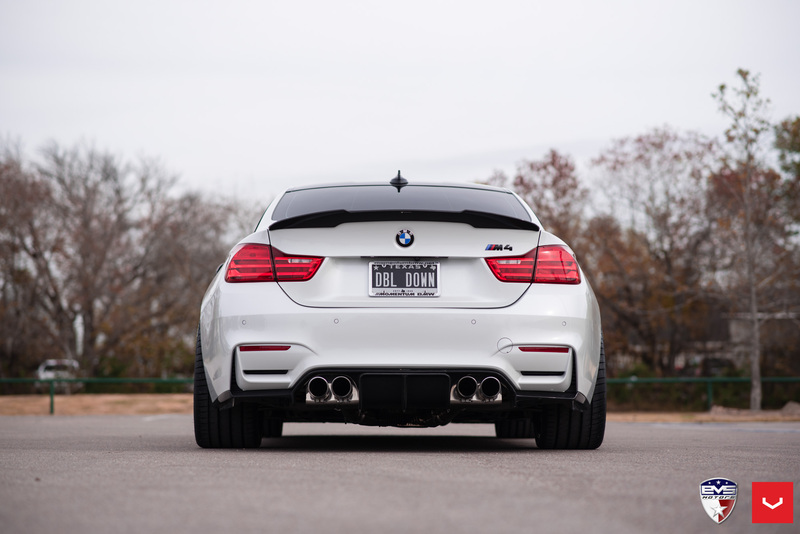 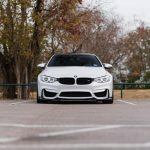 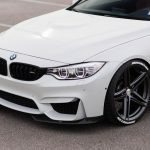 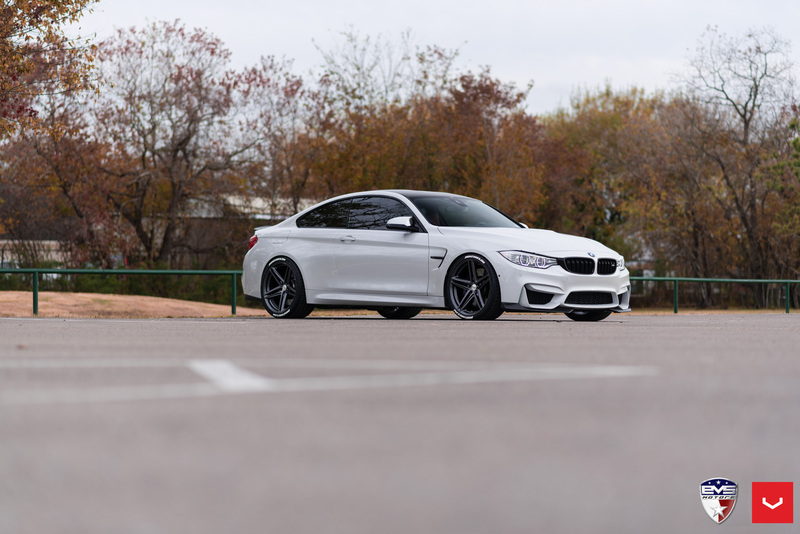 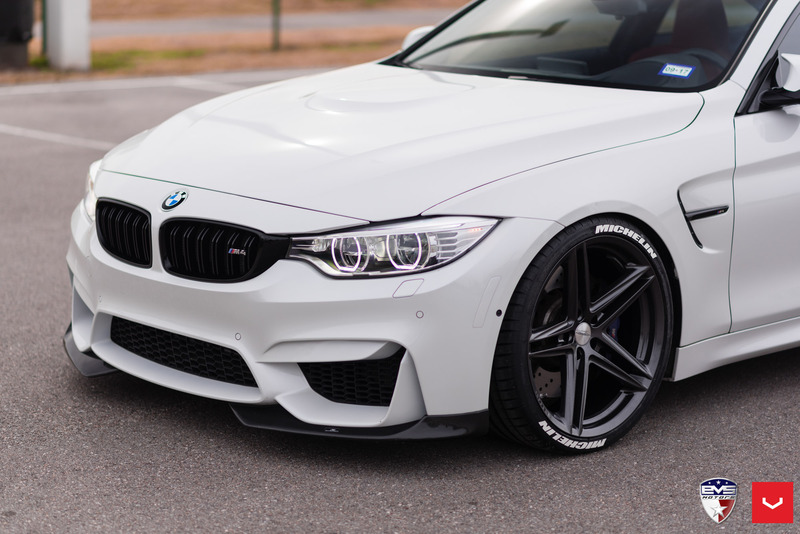 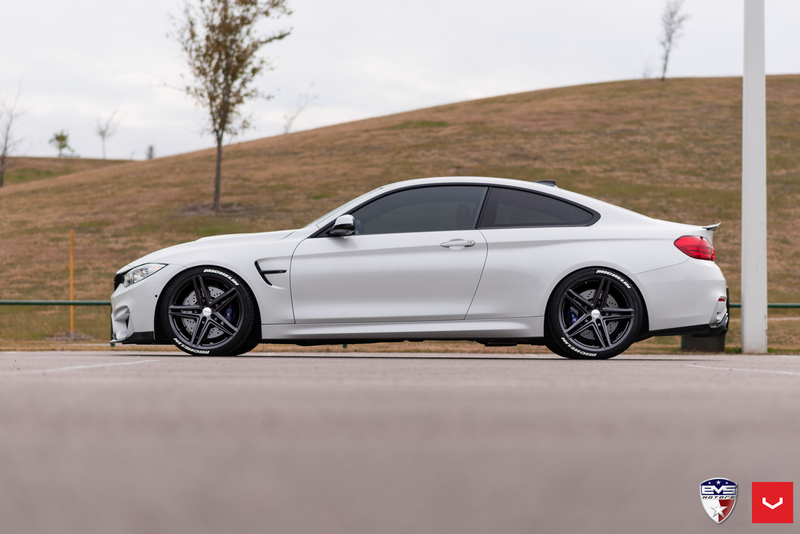 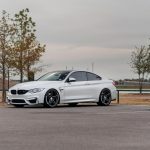 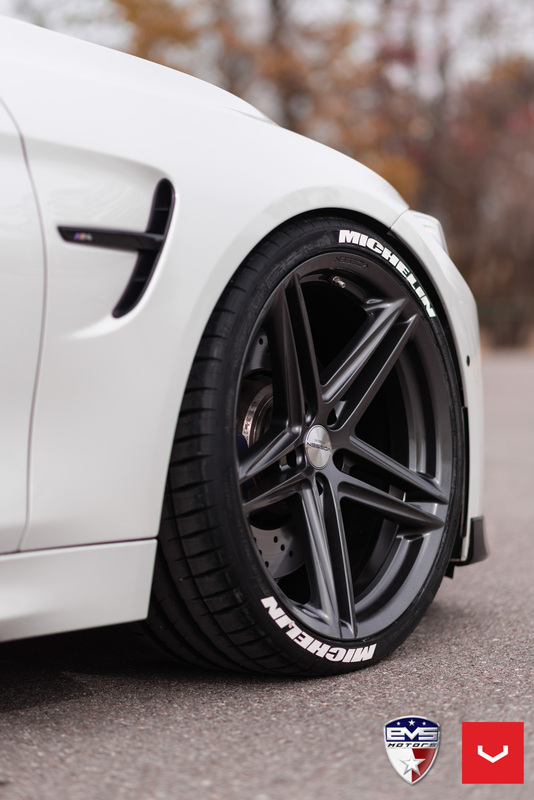 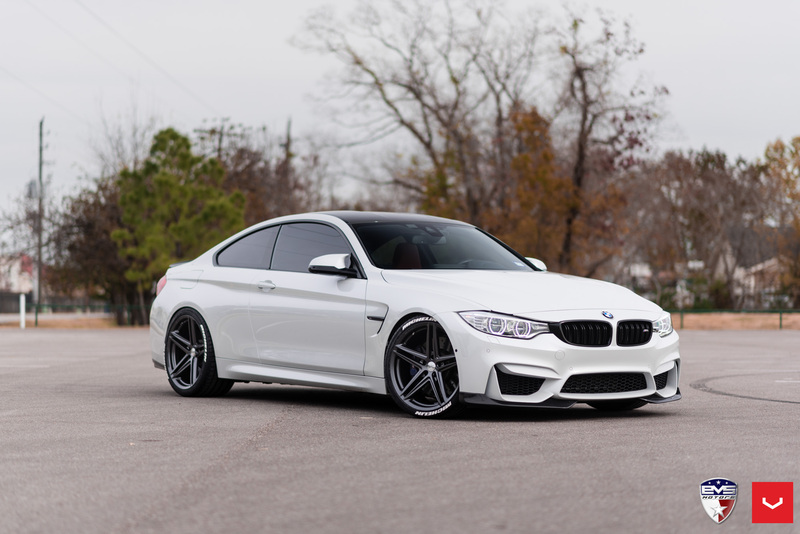 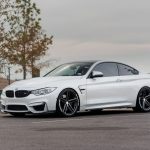 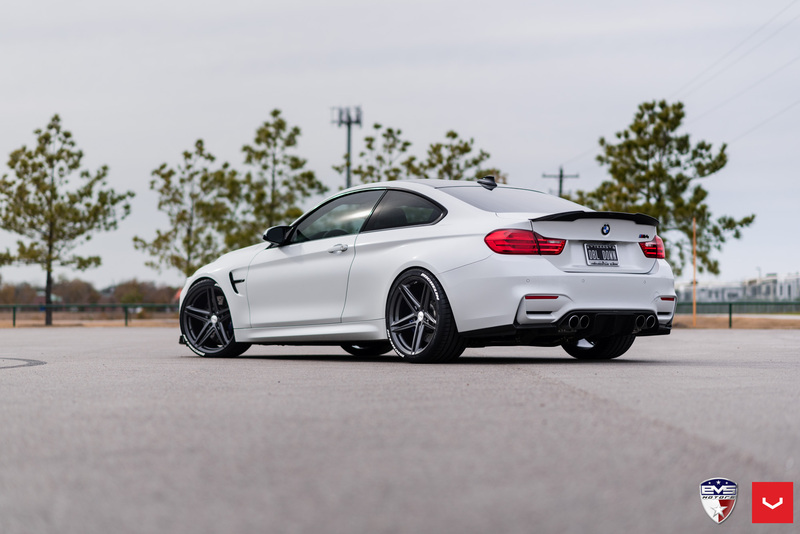 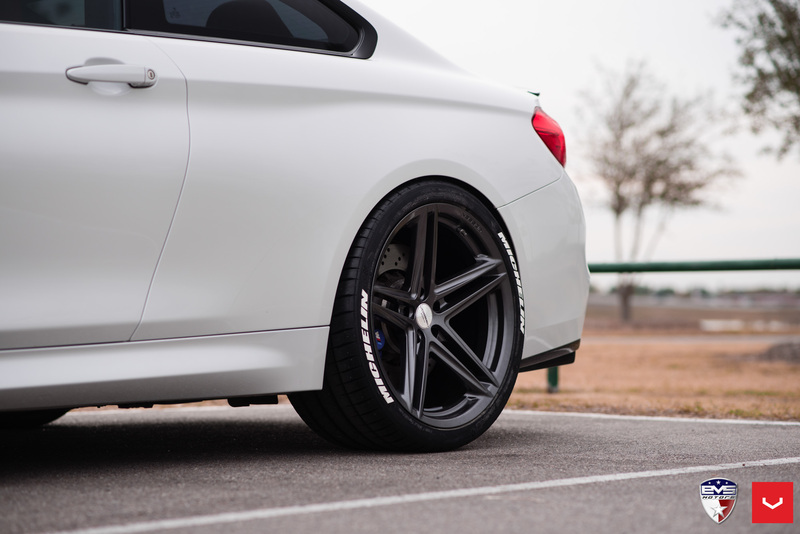 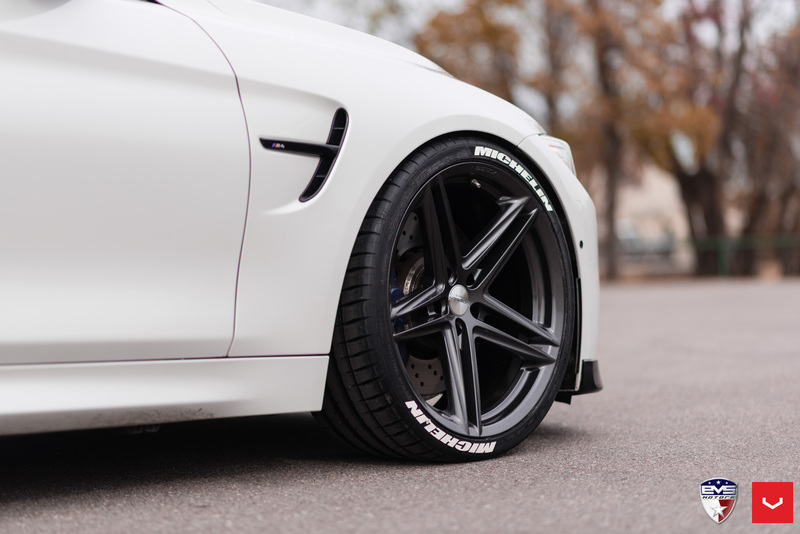 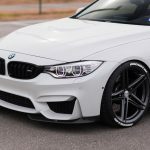 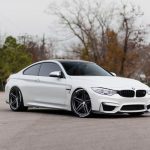 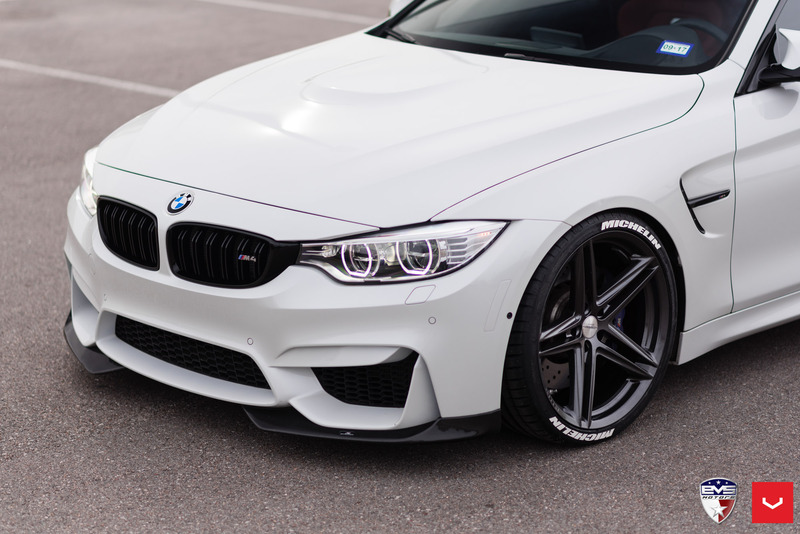 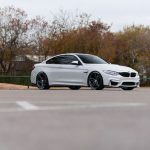 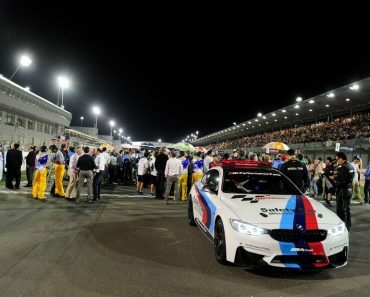 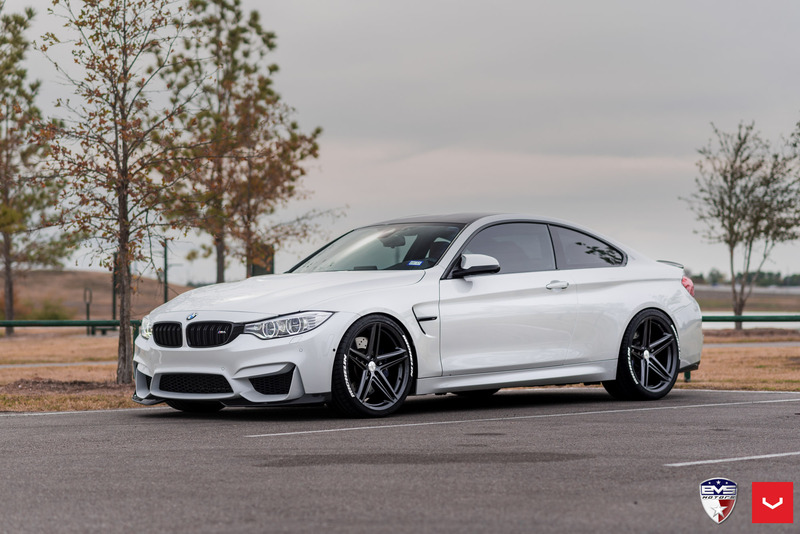 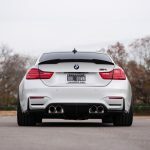 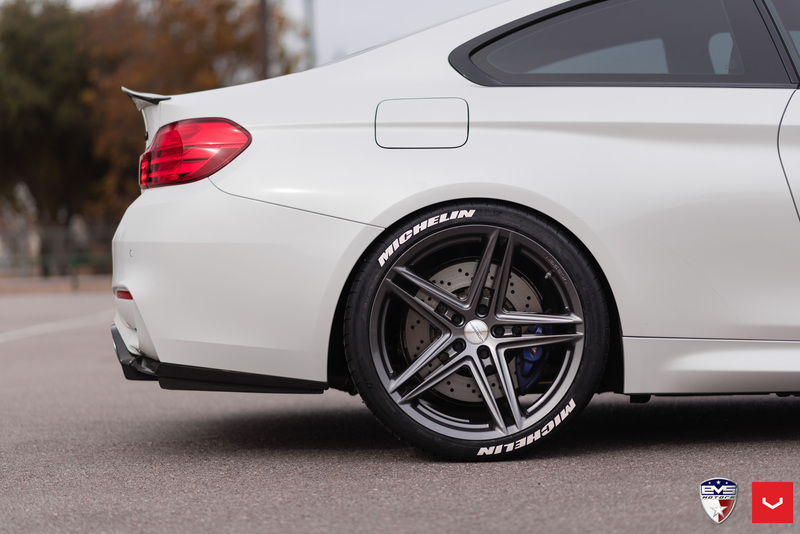 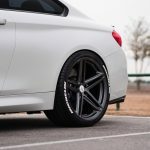 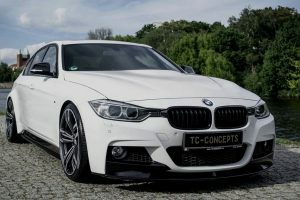 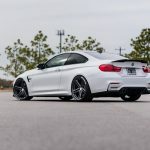 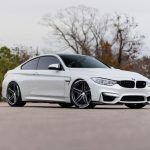 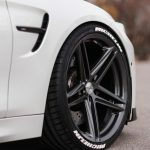 It is also the case of the below Alpine White F82 BMW M4 which has received a nice treatment which comprises new wheels and a carbon fiber aero package. 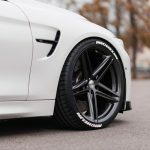 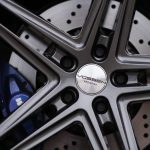 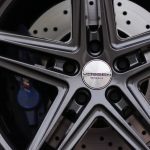 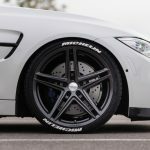 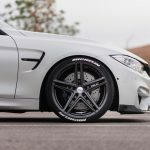 The first striking thing we should observe at a modified car is the wheels, and for this model in question, the owner choose to wrap it with the high-performance wheels from Vossen tuner. 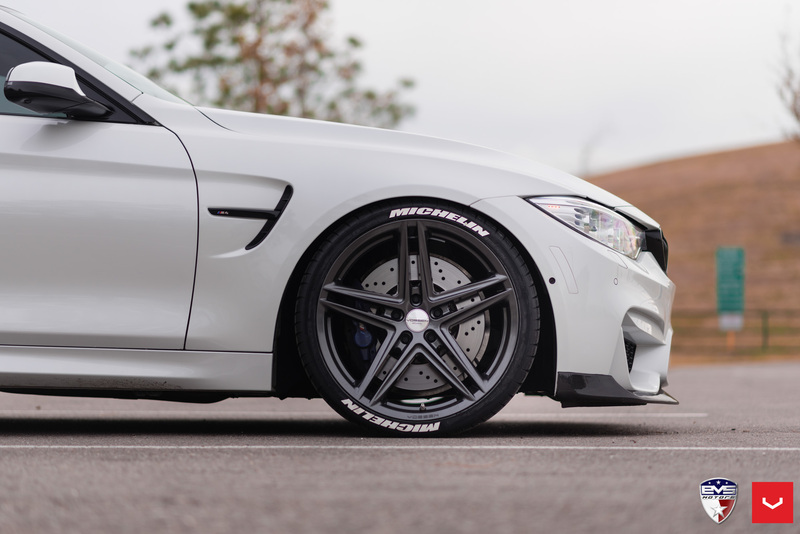 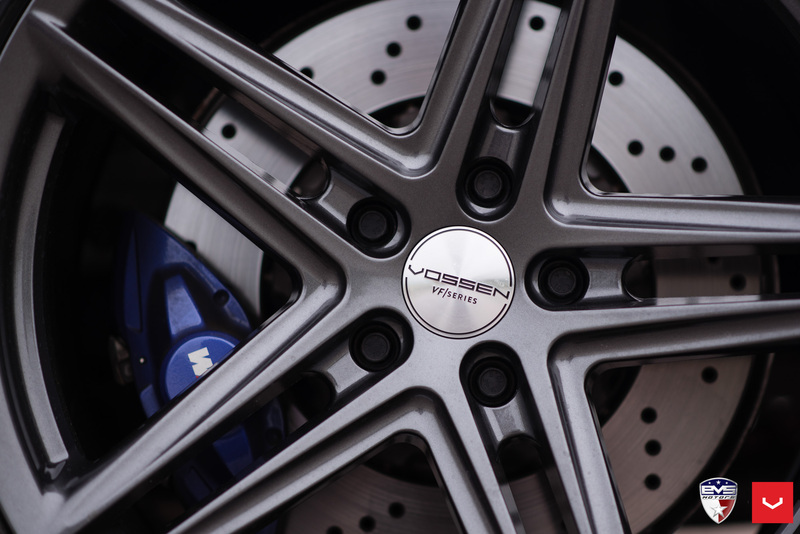 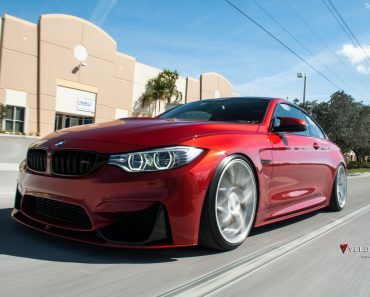 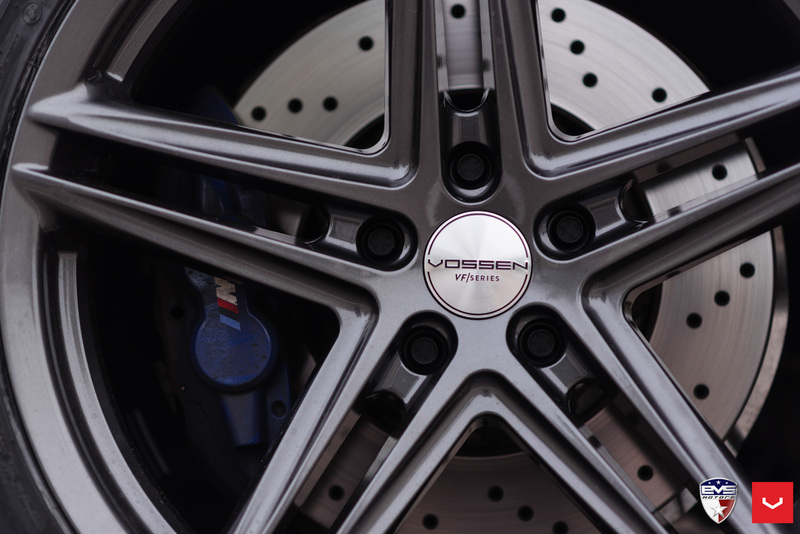 It involves the Vossen Hybrid Forged VFS-5 rims which measure 20 x 8.5 and 20 x 10.5 front and rear, respectively. 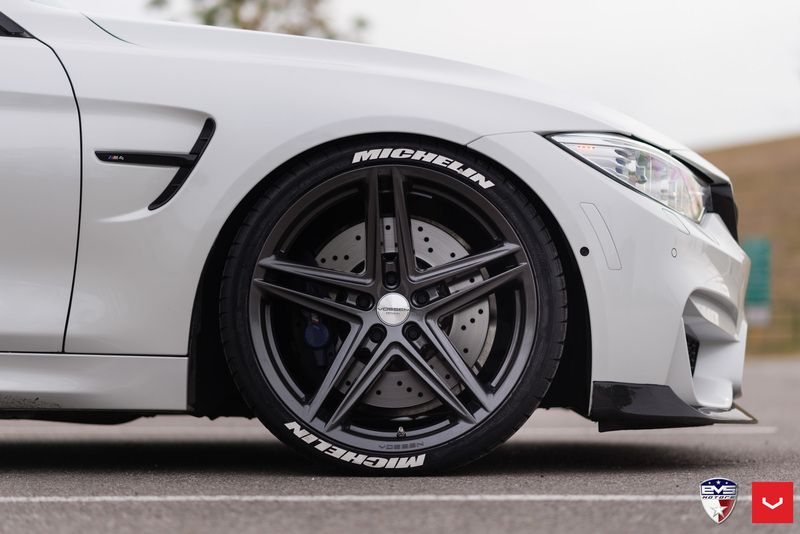 Wrapped in Gloss Gunmetal finish, they look impressive in Michelin Pilot Sport + tires. 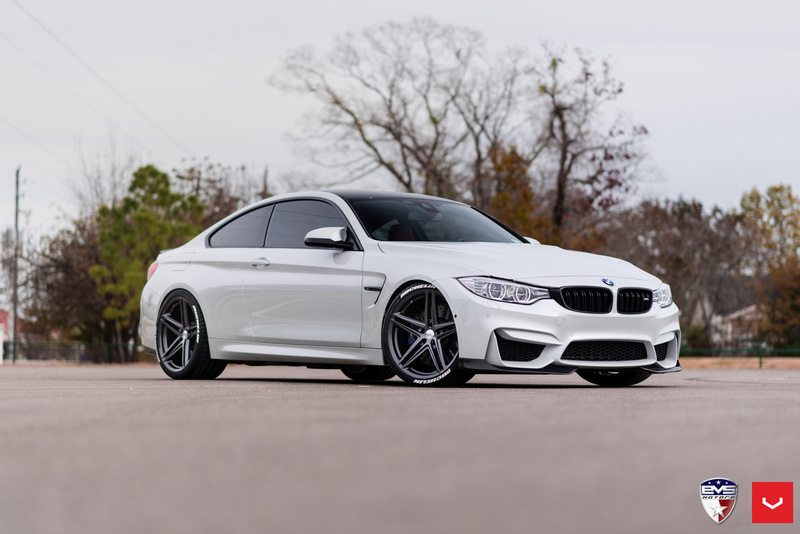 As for the carbon fiber aero package, the Alpine White F82 BMW M4 is fitted with new elements that enhance the car`s aggressive looks. 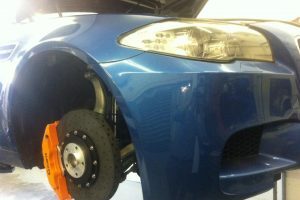 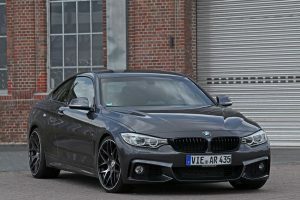 All courtesy of another famous German tuner which is AC Schnitzer, also a dedicated BMW aftermarket shop. 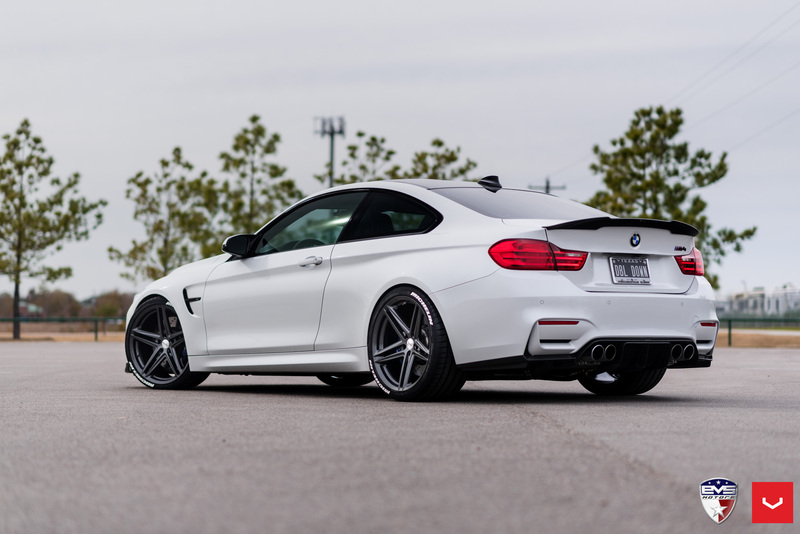 We are looking here at a front lip spoiler, rear decklid spoiler and rear diffuser.